Price chart includes 4 color process 1 location dye sublimation imprint. Some color variation is normal and to be expected. Product Details: 12 oz. 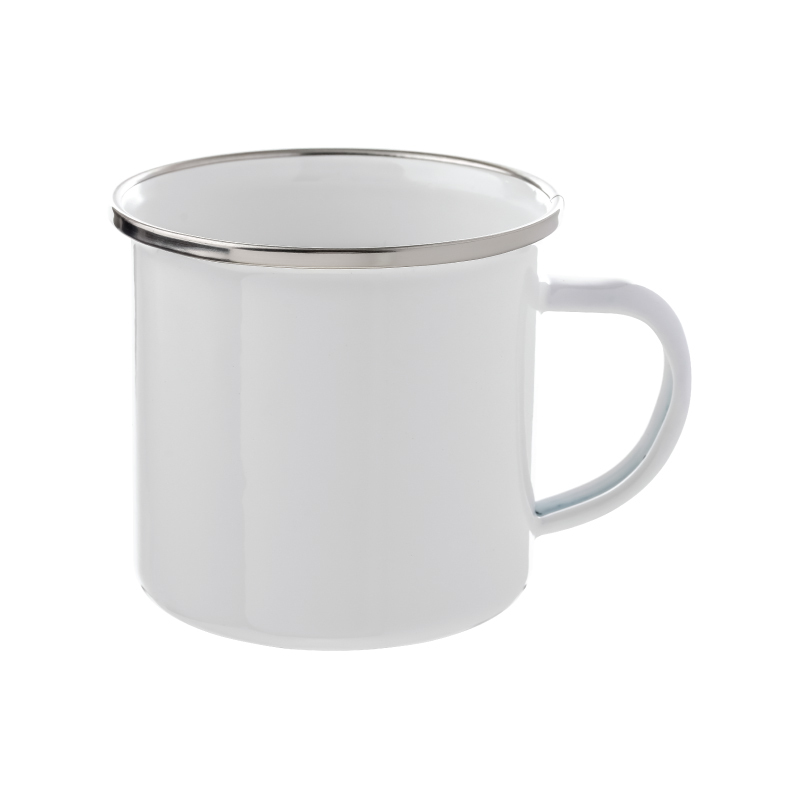 white enamel coated steel cup with gorgeous handle. Perfect for outdoor use at camping, tailgating and picnics. 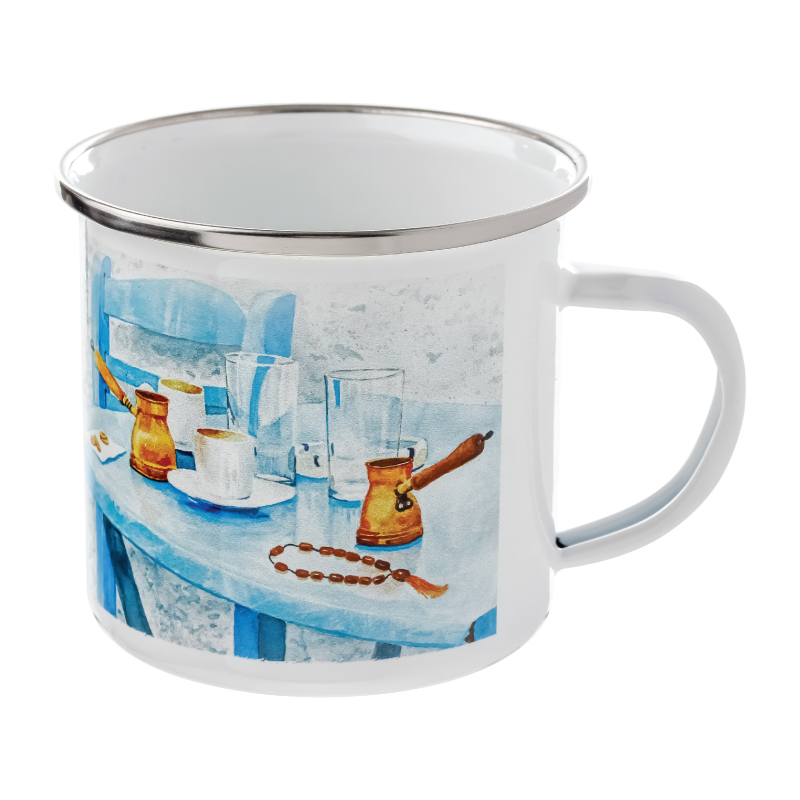 Durable and great for both hot or cold beverages. Item Size: 3 1/4" x 3 1/2" Dia. Pricing: Price chart includes 4 color process 1 location dye sublimation imprint. Some color variation is normal and to be expected. Approx. Imprint Size: 7 1/2" x 2 3/8"
Carton Dimensions: 15" x 14" x 15"